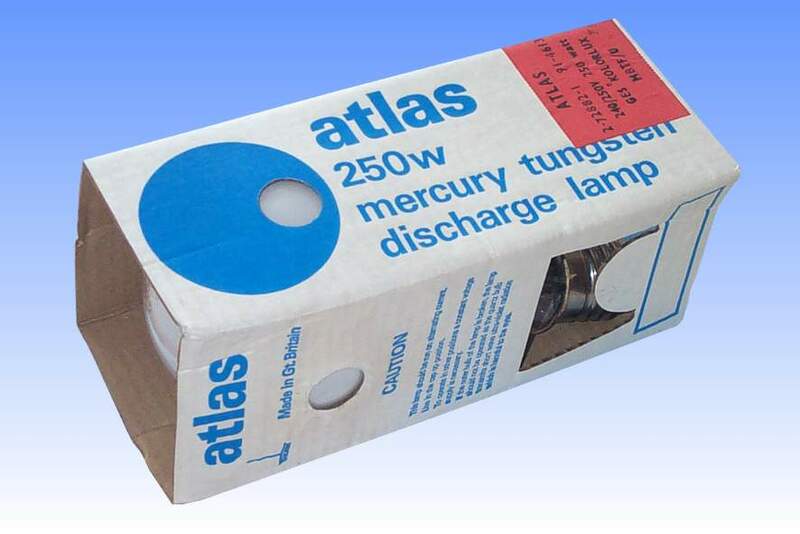 This lamp is typical of the self ballasted mercury-blended products manufactured during the 1960's and 1970's in the UK. The question is often asked as to why these lamps were offered in the round bulb shape, whereas modern types share the same ellipsoidal glass as ordinary mercury lamps. There are two answers to this question. 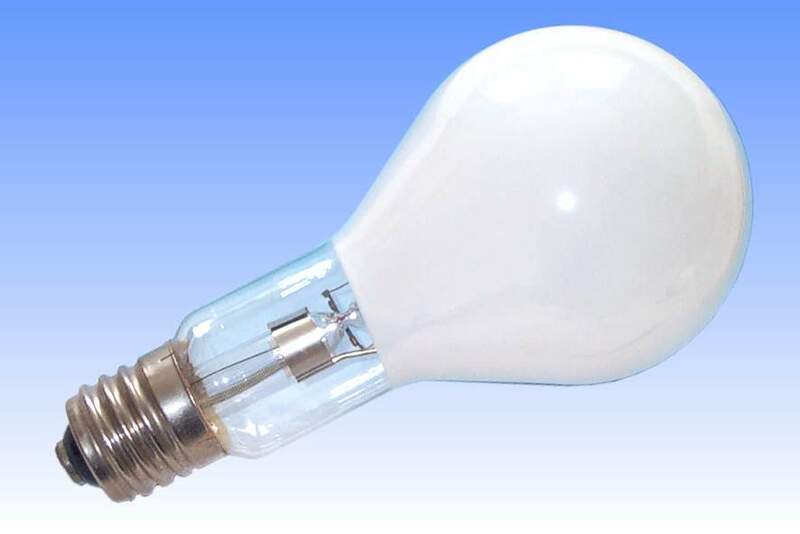 When mercury blended lamps were introduced (initially in pearl bulbs with no phosphor coating), they were intended as direct replacements for incandescent lamps, hence it was advantageous to employ similarly shaped bulbs. Secondly, when fluorescent coatings were eventually introduced to the range in the early 1960s, it was found that the high temperature of the ballast filament caused them to overheat and lose efficiency. The isothermal ellipsoidal bulb used for standard mercury lamps simply ran too hot for the phosphor to be of any use in mercury blended types. Because of this, the larger round bulbs had to be employed. However in 1968 a new phosphor based on Yttrium Vanadate was introduced, and it generated some 10% more light than the early material. In 1969 the 160W blended lamp was upgraded to the new phosphor, and the 250W and 500W ratings made the change in 1970. It was soon realised that because the new phosphor was so much more efficient and had a better thermal stability, it could be allowed to run at a slightly higher temperature without losing as much efficiency would have been the case with the old material. Consequently the round bulb which was previously a necessity could be abandoned. By 1971 the round bulbs had been superseded by UK lampmakers.